The vacancy has arisen after the announcement by existing Deputy Chief Constable Craig Naylor that he has decided to retire in June after more than 30 years of police service, the last two with Lincolnshire Police. Mr Naylor said in a Tweet: “I have had a great journey with amazing experiences working with heroes every day. Mr Naylor previously served with Police Scotland where he held the role of divisional commander for Specialist Service which includes all firearms, public order, search and dogs. A significant amount of his career has been spent in the Criminal Investigation Department including intelligence, major crime and public protection at Detective Superintendent level. The advertisement for a fixed term appointment has been posted on the force’s own website. 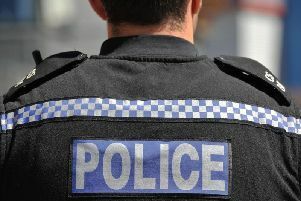 It states: “Lincolnshire Police are seeking applications for the position of Deputy Chief Constable from ambitious senior police officers. “Lincolnshire Police covers a large rural area and delivers performance above our resourcing. We have a strong track record of innovation, embracing change and new ideas, and we are looking for someone who wishes to seize a genuine opportunity to pioneer change. The force adds: “The role of the Deputy Chief Constable is a hugely rewarding one as it offers the overall responsibility for the delivery of operational policing and change and also the strategic challenges on a national stage. Deadline for applications closes at midday on Friday, April 26, followed by a shortlisting of applicants and interviews on May 8.